A series of square or rectangular shaped two-dimensional wall mirrors that bring to mind the ground crystal frames of the past. The frames are made of transparent or coloured polycarbonate with a gull wing profile. It can be hung on its horizontal axis as well as on its vertical axis. Designed to be transparent or coloured transparent, they borrow from the colours of Venetian Murano glass to create a striking effect of depth and richness. 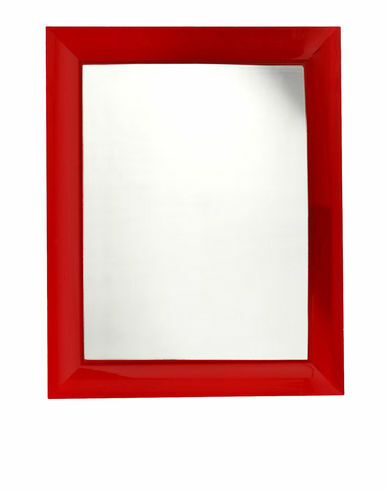 François Ghost mirrors are also available in elegant opaque white or black.